It's My Tissue Dispensing Pillow And I'll Cry If I Want To: ThenCry! 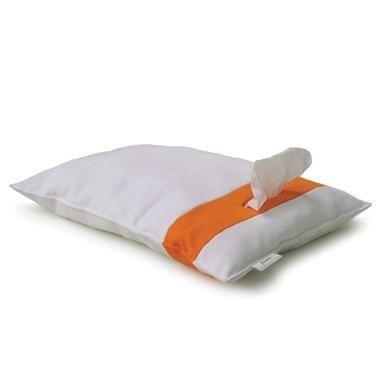 It's good to see that crying is finally receiving some recognition in the design world, even though the fabulous German innovator Design 3000, lists the ThenCry pillow as a "First Aid" product! 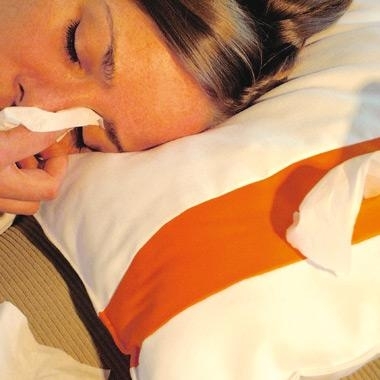 What better "treatment" for crying than the warmth of a cozy pillow that dispenses tissues. A crying pillow is so comforting, like a teddy bear, only more huggable. Everyone needs a special pillow for low times... especially if they don't have to go searching for a box of tissues, which is so disruptive to a good cry! How much fun to give or receive the ThenCry pillow as a gift. You could even place it where your better half, let's say, or your child, is most likely to cry. Sad movies make her cry? Surprise her with a ThenCry on the arm of her favorite TV chair. If it's the stock market that brings tears to the eyes of your lover, best put ThenCry on the desk in front of the computer screen. Children should always have a ThenCry in their rooms wherever they throw themselves when things don't go their way. And, colds or flu.... now, we're getting to the first aid aspect of the pillow... always bring on sniffles, if not the whole sickening mucous stuff. Bed is the place for the ThenCry pillow in that case. Might add some Vick's scent to the tissues, too! Yes, you can fill and refill the ThenCry with your favorite tissues, but don't forget to remove them before washing ThenCry. Pillow size is approximately 16" by 24." close to the size of a standard size pillow. Go ahead, cry if you want to on ThenCry, available from Design3000 for 87€ or $110. I hate having a cold or allergies and having to find a kleenex in the middle of the night. wouldn't the trashcan that you put on the edge of the bed with a paperholder (either for a roll or for tissues) on the trashcan be better? I think I have seen some online dunno though.